Given Singuluma is a Zambian international football player, who currently plays number 10 as a forward for TP Mazembe, a Congolese football club based in Lubumbashi. 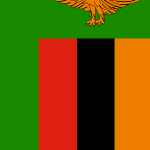 Given Singuluma born 19 July 1986 in Rufunsa, Zambia. He debuted for the Zambia national football team in 2006 and was capped 15 times, scoring 3 international goals. Singuluma was member of the Zambia squad at the 2010 Africa Cup of Nations.